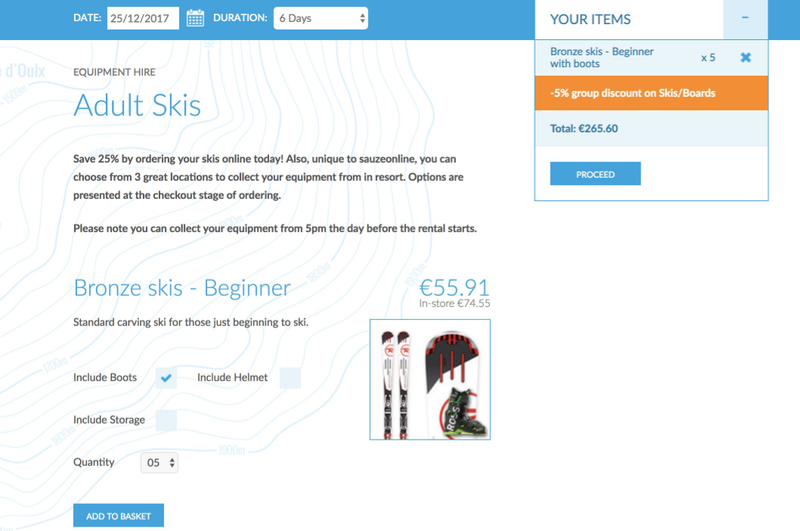 This season we have introduced a group discount on ski and snowboard rental equipment. Many of you over the seasons have come out with either family or friends and we’ve always been happy to apply further discount for you on rental equipment when booking as group. This process wasn’t as straight forward as it could have been so this year we’ve made things a lot simpler. If you add 5 or more skis or snowboards into the basket then an additional 5% discount will automatically be applied to the total cost. If you’re coming out with 10 or more people then please get in touch as we would be happy to give you a bespoke quote based on your requirements. As always we’re here to make things as easy as possible for you so if you have any questions then please get in touch and we’d be only too happy to help. For more information and to book your rental equipment please visit the online shop.